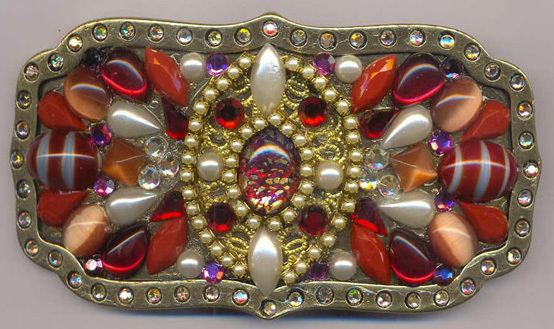 Handcrafted buckle decorated with porcelain and Swarovski. Created by Waitz Design. 1.6" wide. Choose strap options in the drop down menu. All belts are made of superior italian calf leather.